For Indian authors,Check Following Payment option International Authors can pay using PayPal OR Western Union. 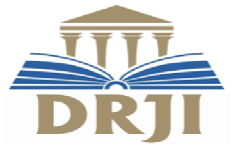 Email editor@ijnrd.org for more info. Note: As per our norms maximum 4 authors will be allowed for single paper publication. Our charges(750 Rupess) include only 4 authors per single paper publication. if author want to add more than 4 authors then author have to pay 500 Rs additional charges per additional author. Author can pay the publication fees Online by Instamojo payment gateway.